When the new chief of New York City's subway system opened the floor to commuters for a live question-and-answer session on Twitter Thursday morning, New Yorkers did not hold back. 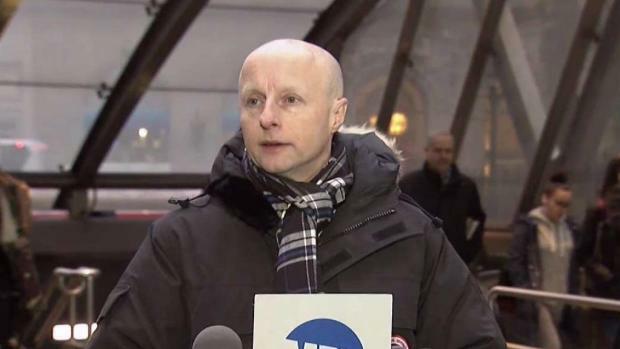 The hashtag #AskNYCT quickly became a trending topic in New York, as masses of frustrated commuters barraged NYC Transit President Andy Byford with concerns and questions about deteriorating trains, constant delays and weekend work. In response to complaints about track work and maintenance, Byford says the operations planning team works with the rail control center to schedule and manage maintenance work: "We're catching up with decades of underinvestment, which makes this challenging." "A huge amount of work is being undertaken at quieter periods, but we try to balance this to still provide service," he said. New York City Transit has a new boss. 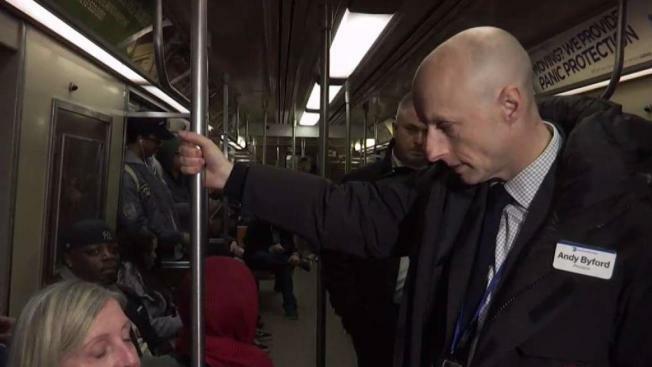 Andy Byford officially took on the new role Tuesday, promising cleaner stations and a more reliable commute. Andrew Siff reports. As for the unreliability of MetroCards, Byford acknowledged they are "now old technology," and that's why they're migrating to contactless payment by phone or credit card. He agreed that "it is outrageous that customers should have to wait for a refund," but "in the meantime, we're looking at ways to speed up refunds or card replacements" when cards become defective. The "dark, damp, stinky and incovenient to exit" 149th Street Grand Concourse station ("Agree this station needs work... This will take time and money, but we are writing a plan to secure just that." Byford says he wanted to host the chat because he is "laser-focused" on increasing reliability to improve customer experience. He plans to hold Twitter chats regularly. "This is the job," he wrote in response to someone who accused him of "wasting time with empty PR gestures like this." "I believe that being accessible and responsive to customers is a key part of making the system better. In my ten weeks here, I have focused my time on tangible actions to improve things."